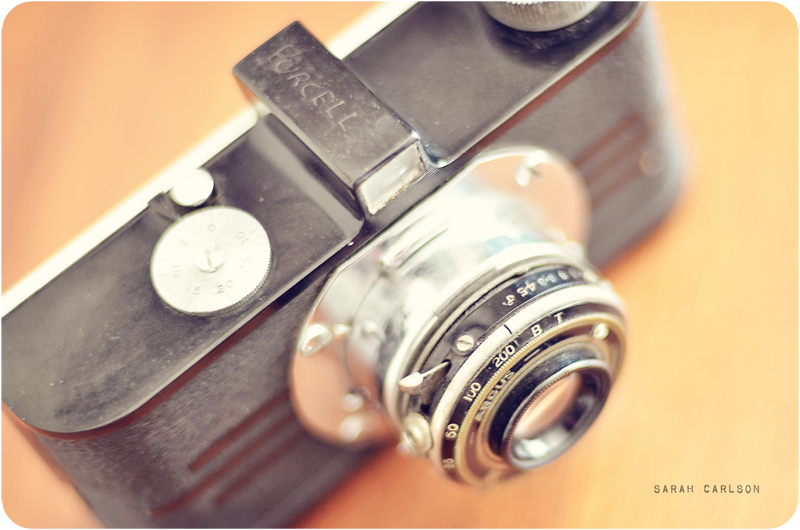 My dad recently handed down my grandfather's "Argus Anastigmat" camera to me. I finally started loading the film in it a couple of days ago, and I realized I've never put film into a camera that didn't automatically advance it for me! My dad gave me a lesson, and it's ready to go now. I also finally loaded the Holga toy camera Nick and Kate got me for Mother's Day with 120mm medium format film. It's going to be very experimental at first; I'm not sure how all the settings dials work, and I'm very used to my digital camera showing the metering! I think it'll be good practice for photography in general. I'll be much more careful with each shot and pay more attention to what's in the frame. Looking forward to sharing these with you. Surely something will come out... or at least be interesting!